The PC Gaming world has grown to become one of the most important hardware sectors. It is not only formed by RGB components, aggressive esthetics or special variants with more speed and performance. Currently the products in the market that engulf the PC world not only focuses on the PC but there is a series of peripheral devices as well as furniture with that esthetic focused on creating a space for those who use the computer for a gaming platform. There is no need to present Corsair. Everyone knows this company for their RAM memory, their liquid refrigeration systems, mice, keyboards, boxes, SSD, PCs, and much more. 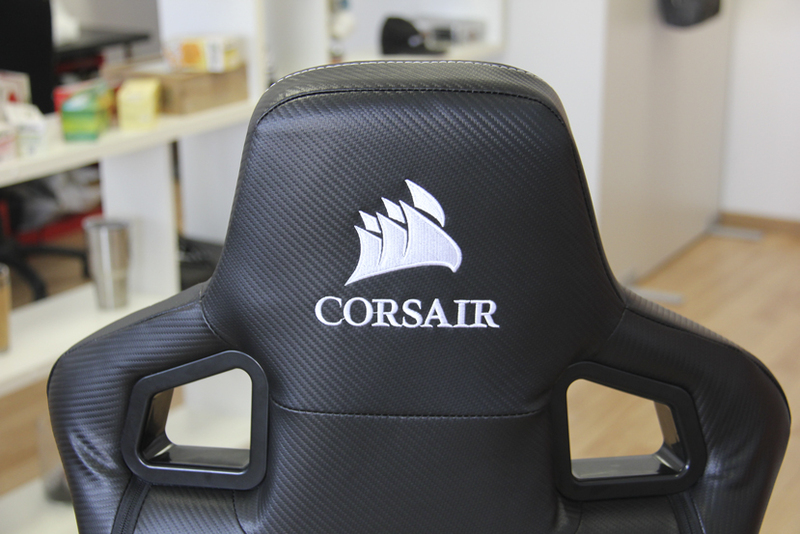 With this Corsair T1 RACE a new gamma of products is inaugurated as the gaming chairs for players. 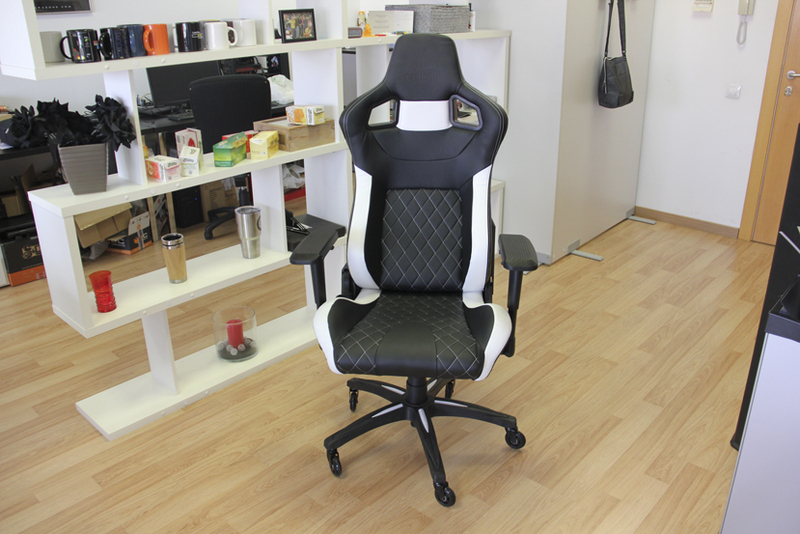 It´s not the first chair of this type that we analyze on Geeknetic. We had previously talked about trying the Bultaco´s option. Let´s see what new is offered with this Corsair T1 RACE and what it´s capable of. One of the problems that we can come upon at the time we purchase a gaming chair of this type is that the great majority use a common structure fabricated by a third party to which personalized external materials by each company are applied. For example, the Bultaco GT301 that we analyzed, in its day, had one of those common structure designs and in the case of the Corsair, it isn´t an exception either although it isn’t the same design as that of the Bultaco. It is common to other models of other fabricants but with materials and detailing created by Corsair themselves. The design is the typical that emulates a race car or competition car seat with two openings in the rear area and some protrusions on the laterals to better hold onto the body and that have become trending now in the gaming world. In fact, we will find little variety in this market of gaming chairs in this sense. The Corsair T1 RACE uses synthetic leather in the entire body with stitches that unite the distinct parts, all of which done with great quality in the intersections and detailing. It´s curious, the odor of this chair, all who have had a new car will recognize since the new car smell is very attractive. In this case, we have a black and white model with black being the predominant color with touches of white in the areas of the feet, on the sides of the chair, and in the upper section between both openings. The armrests have a softened texture to make them more enjoyable during use and the adjustment are the following: we can regulate the height, the position to the sides, the turning angle, and we can also adjust to the front or back depending of the user preference. There is an important improvement in quality of the wheels. The Corsair T1 RACE has high quality Nylon wheels with two axis and treads with which we get a very fluid and comfortable glide without any noises or scratches. Two cushions are included, one for the lumbar zone y the other for the neck zone. Both cushions maintain the rhombus design of the central zone of the chair and they integrate very well within the same design without any stridencies. 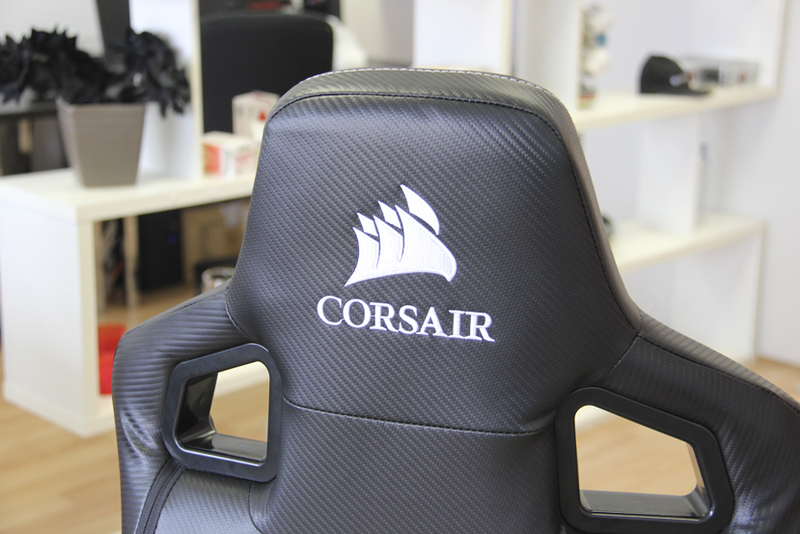 The Corsair T1 RACE overflows in quality of the detailed finishes and materials. More could possibly be asked for in a chair of this type as long as we don´t go to models with real leather which would elevate their cost exponentially. The system regulation design permits adjustments of practically all possible elements and the nylon wheels are the icing of the cake. Like all these chairs, the Corsair T1 RACE comes completely unassembled and it will be the buyer’s responsibility to deal with this task. The majority of these chairs have a similar assembling system with 3 principal parts (the armrests are already pre-mounted): seat, backrest, base with wheels, and it’s not expected for many difficulties to assemble everything although one or another part may resist a bit. 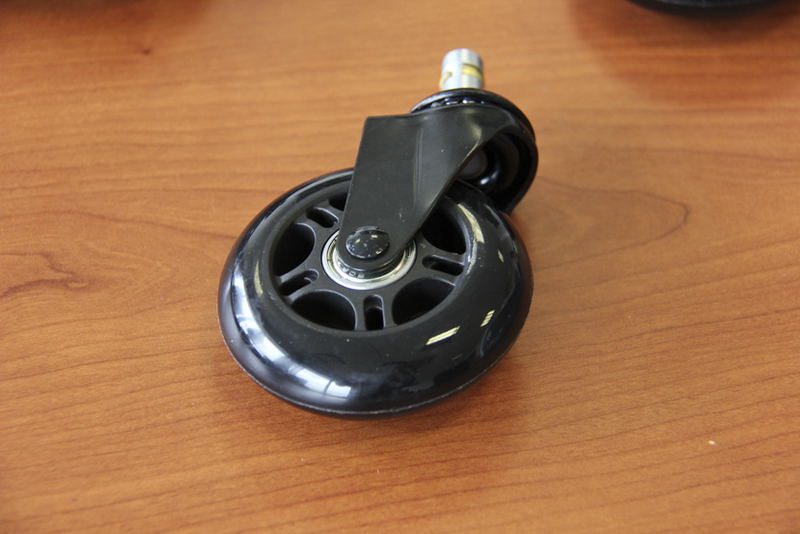 The wheels have a metal shaft with a brass pin that engages with the ¨star¨ of the base where they are placed. Although within the instructions of the Corsair T1 it is indicated that they are placed by hand, it is really complicated. The shaft with the brass pin have a diameter practically identical to the space there is within the base and to place it we have needed to use a hammer since by hand It is simply impossible. 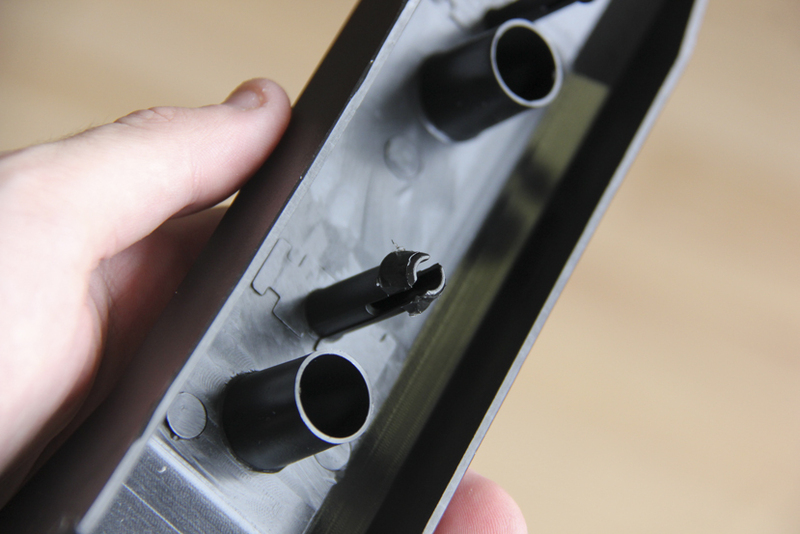 After we only need to screw the base where we will place the gas piston to the seat, place the base with wheels, everything very simple with the four screws of generous dimensions with the Allen key that is included. Next is to place the backrest. Here we have two metal pieces on the seat which is where the backrest will be screwed in. We place the four Allen screws and everything goes like silk. We found a problem with the plastic fittings that covered the hitch and screws. 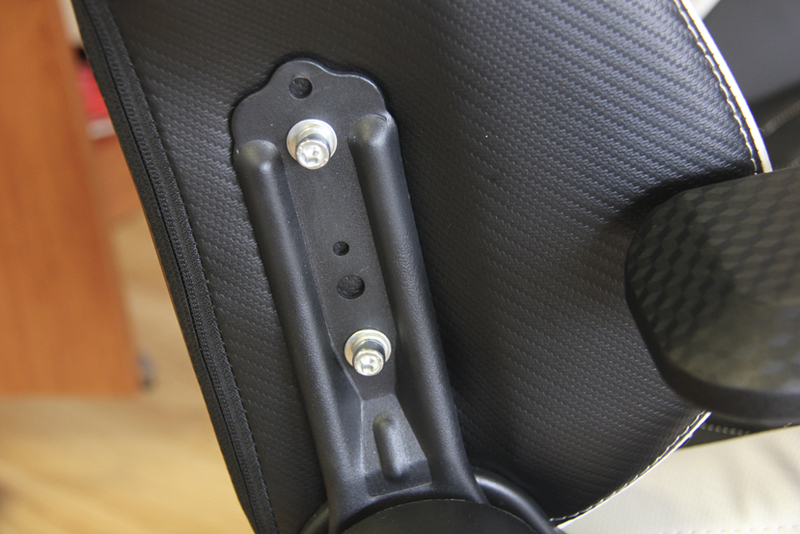 Those fittings have various protrusions that are placed directly where the screws and spindle of the backrest and other protrusions that fit into small holes that remain between themselves although, the synthetic leather of the chair is on these holes and it is very complicated to make them fit without risk of breakage. After a few tries and applying much force we were able to fit them perfectly. The fact that two additional replacements are included doesn’t stop giving the idea of the problems that this process may give. Once the trim is in place, we only have to place the cushions if we wish. 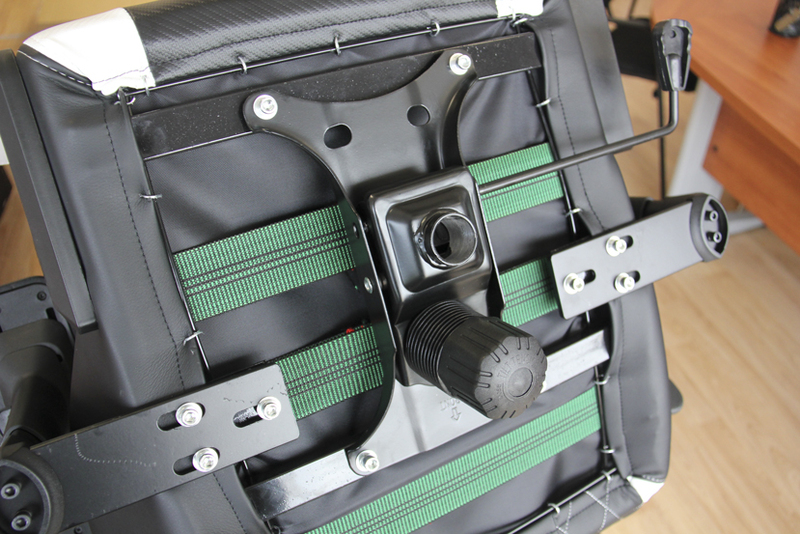 In my case I have found the backrest design ideal without the need to use the lumbar or neck cushions. The form of the chair, especially in the lateral wings, makes the hold strong, much more than other models, making the posture correct and without changes, something that may occur in flat chairs if we are sitting for a long period. The padding has a good balance between hardness and comfort and the form of the back adapts perfectly. In addition, if necessary, we can always add the two cushions that are included for the lumbar and cervical. Personally, the most comfortable posture to use the PC I’ve achieved without cushions but that depends on each person. The wheels of the T1 are extremely silent thanks to the gummy nylon surface and their generous diameter making them turn completely fluid when you want it to. However, when we are sitting in front of the PC their turning system makes the chair not move at all and we can be in front of the computer without any involuntary movements. The truth is that the Corsair T1 RACE has surprised us. 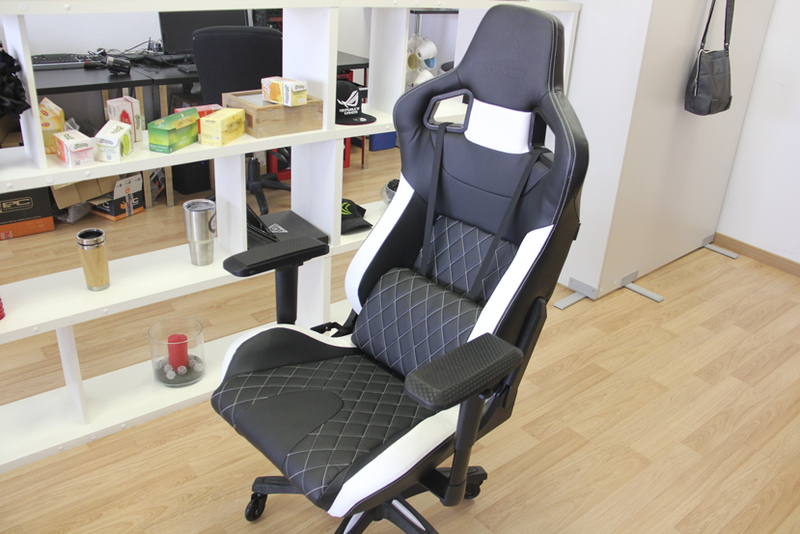 We expected a generic “gaming” chair with the typical structure but it has differentiator elements going past the esthetics like the shape of the seat with wider sides to support the back better, some quality wheels, and the great armrest system of adjustment that justify, in part, the rise of price compared to other offers. We say ¨in part¨ although there are important differences in ¨gaming¨ chairs of 180-250 dollars, we shouldn’t forget that we are talking about a chair that costs 399 dollars. A price substantially considerable that not everyone is willing to pay. The ¨gaming¨ boom has made many fabricants diversify their products and focus many lines on the market meant for PCs as a platform for games. It´s not a secret that within the sales related to the PC, gaming is booming and is the most growing sector and this includes both the PC as is and its components like all the paraphernalia that has been created like in the case of the ¨gaming¨ chairs. Not everyone in the world needs or wants a chair with the aggressive esthetic with a race car seat appearance like these. In many cases, a good quality office chair is more than sufficient. It is clear that these chairs are meant to those who want to create an atmosphere for games centered around the PC and that on top of that is notable. 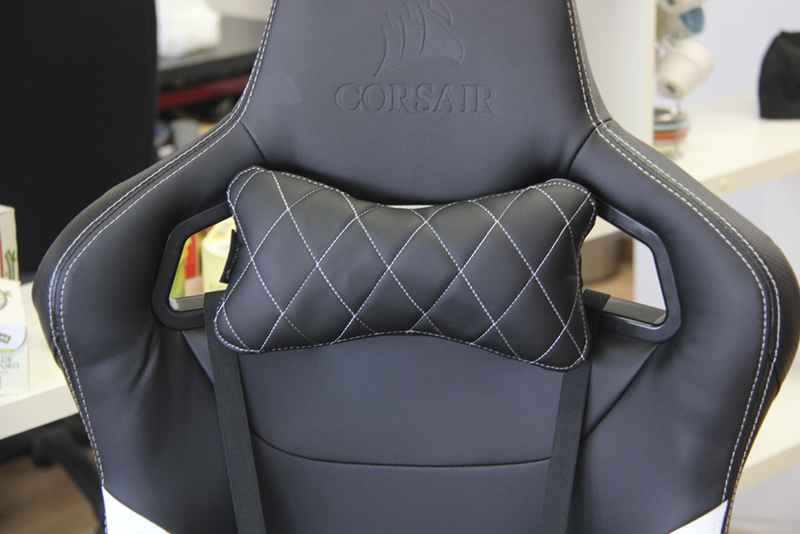 The Corsair T1 RACE is one of the highest range of gaming chairs we will be able to find. It is not only limited to take a structure that simulates a competition car seat and personalizes it but also has various elements thought of to offer comfort and a satisfactory experience when it comes time for long sessions in front of the PC. 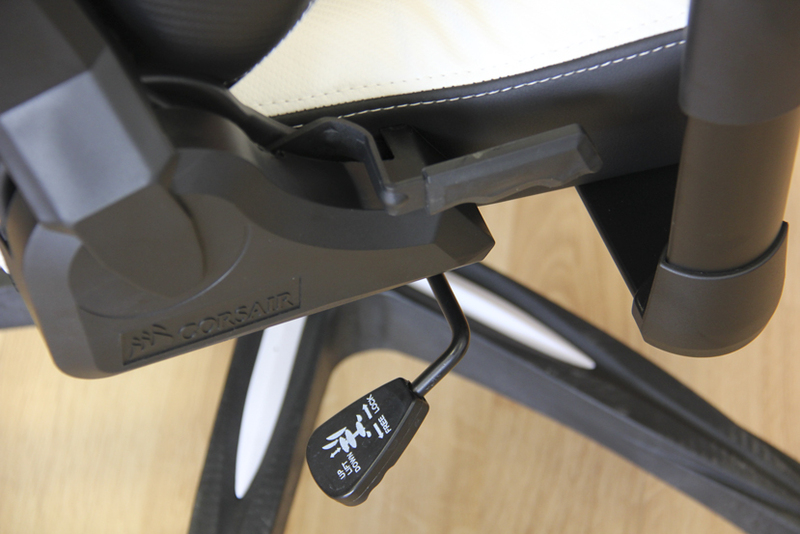 Details like the armrests with adjustments in 4 directions, the nylon wheels, or the way it fits the body make a notable difference between the Corsair T1 RACE and other more generic chairs. The shadows of the T1 RACE have been found when it comes to the assembly with a few elements that are very difficult to put together, like the wheels or the side bezels. A more elaborated wheel anchor system would be appreciated to mount and unmount like the same as the bezels that go on by pressure against the synthetic leather. When it comes to the detailing, we haven´t found any problems. On the contrary, the synthetic leather serves to perfection, the stitching within the parts is done with quality and care in addition, the new car smell is a curious touch that surely many will appreciate. The 399 dollars that the Corsair T1 RACE costs many back off more than one. It is clear that many times a device or accessory focused to the ¨gaming¨ market makes their price superior. 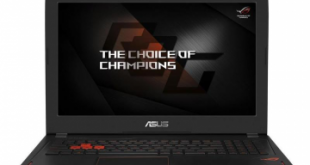 If what we are looking for is simply the ¨gaming¨ esthetic, it may be beneficial to look for more cheaper options although, naturally, we won´t have the characteristics that the T1 RACE has. 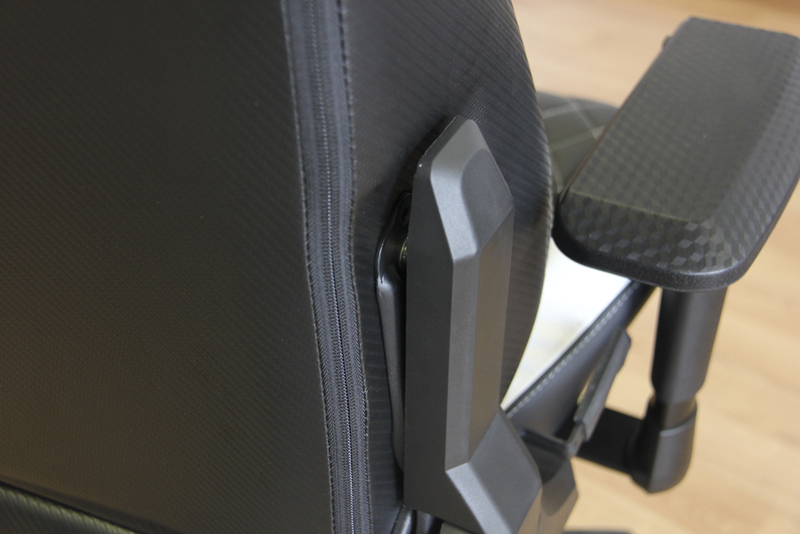 The Corsair T1 RACE is a well-constructed chair with quality materials and detailing, with many adjustment options, and that adapts to the body perfectly to maintain a correct position during the hours that we are in front of the computer, something that our back will thank without a doubt. 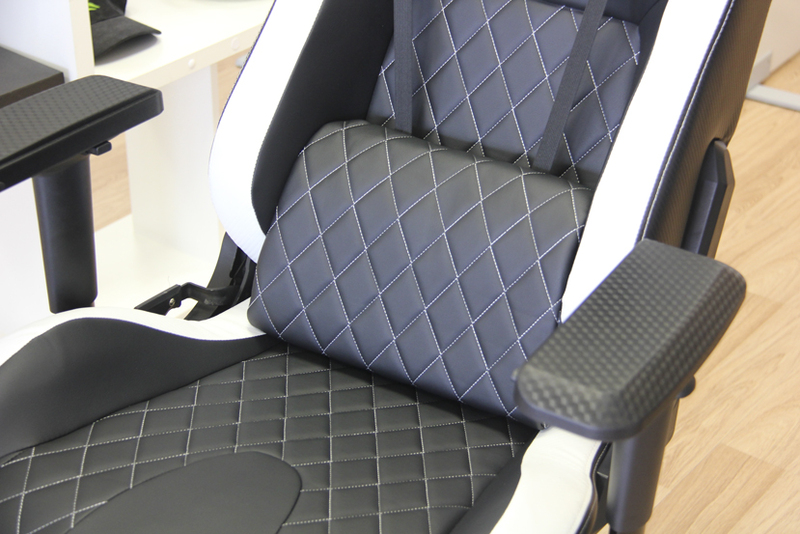 It is, without a doubt, one of the best gaming chairs that we can find in the market.